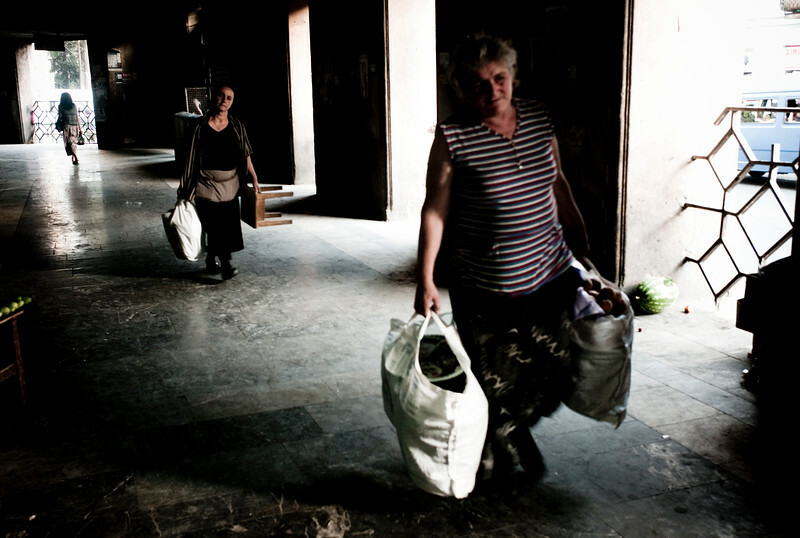 Women walk with their shopping bags in a market area in Tbilisi. The new oil money has brought in a divide between the rich and the poor. Since the flow of money has poured into Baku thanks to the Baku Tbilisi Ceyhan (BTC) oil pipeline.